April every year brings the lovely Lyrids Meteor Shower. At its peak this year on the evening of April 22, you can expect to see up to 20 shooting stars a minute, though the meteor shower will go from April 16 through to April 25. One thing to look out for with the Lyrids Meteor Shower is that the shooting stars often leave a long persistent trail behind them and there is always the possibility of a fireball or two. 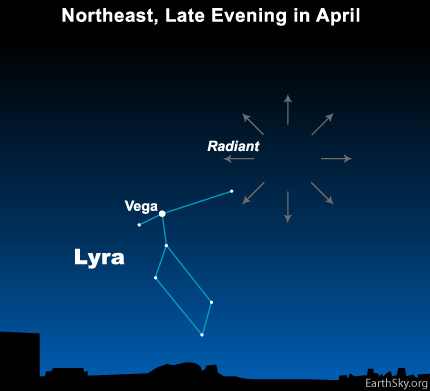 The Lyrids, like most meteor showers, is named after the shower's radiant point. That is, the place in the sky where the shooting stars appear to originate. In this case, it is the constellation Lyra. The shooting stars originate from the tail of a comet. In this case it is Comet Thatcher that orbits the sun in a 415-year orbit. Meteor showers are predictable because the Earth will pass through the dust clouds left behind by the comet every year as it orbits the sun. 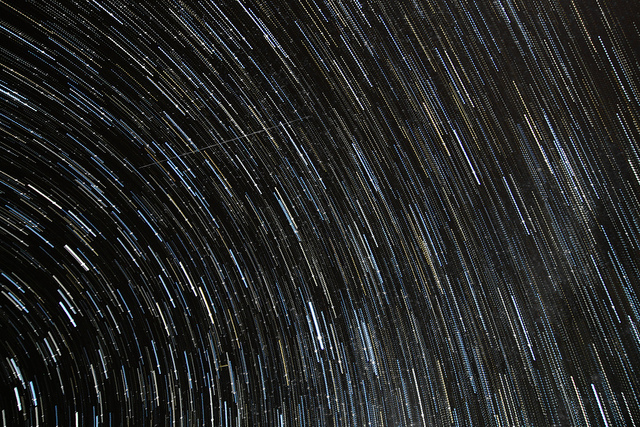 Records of the Lyrids meteor shower go back to 687 BC. Most of the meteors are simply particles of dust. Because they hit the Earth's atmosphere (or more accurately, the Earth slams into them) they burn up quickly and brightly. However with the Lyrids, sometimes you can get a fireball. This is a meteor that might be as large as a grain of sand and will light up the night sky as it burns up. The Lyrids are also famous for its occasional meteor storms where you might see up to 100 shooting stars per hour. Though this only happens about once every 60 years, so don't expect anything so spectacular this year, but meteor showers can be unpredictable, and the Lyrids are no exception, with bursts of meteors occurring when they weren't expected. Barring a few fireballs, the best option is to get far away from city lights. If the weather is warm, I like to head to a secluded beach, though many people head off to the countryside or even climb up mountains to view shooting stars. Generally speaking, the best time for viewing meteor showers is between midnight and the first predawn light. This year, the moon will set earlier on in the evening, leaving the early morning hours free from moonlight pollution. When you go to observe a meteor shower, the main thing you have to remember is that light is your enemy. So turn off all phones, camera screens and smartwatches. It takes about 20 minutes for your eyes to adjust to the darkness. So head off somewhere quiet, sit, or even better yet, lie down, and turn your eyes to the heavens. Generally speaking, look to the north-east or even better work out where the radiant point of the meteor storm will be. But remember, the shooting stars can appear anywhere in the sky, but more may be present in one area than another. The exact times and directions of the Lyrids Meteor Shower change between locations and over time. Remember though, the meteor shower is best viewed between midnight and dawn. The only other thing to check is the time of moonrise and moonset, which for most of the meteor shower will be before dawn, making this a great night sky event. In Sydney, the moon will set at 10:54 pm but you won't really get much chance to view the meteor shower until after 1 am in the north-eastern sky. The best time is 4 am, when the radiant point will be in north at 22 degrees above the horizon. For Melbourne night sky watches, the moon will set at 11:11 pm, but you are not going to get much of a view of the meteor shower until after 2 am into the north-east. It is better to get up at 4 am and look to the north. Brisbane people can start looking for shooting stars after midnight, about an hour after moonset. Once again, 4 am is the best time for viewing with the radiant point 28 degrees above the horizon to the north. While the moon sets at 11:14 pm in Adelaide, it is best to start looking for shooting stars after 1 am in the north-eastern sky. The ideal time is at 4:30 am in the northern sky. In Perth, the moon will set at 11:26 pm, but you won't really get much chance to view the meteor shower until midnight in the north-eastern sky. The best time is 4 am, when the radiant point will be in north at 28 degrees above the horizon. 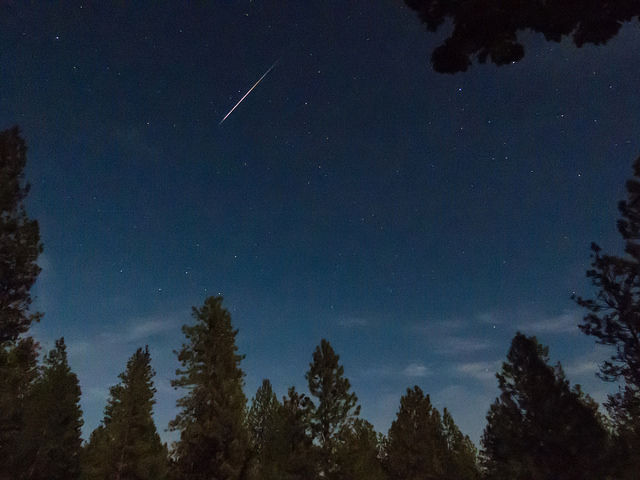 Photographing shooting stars is one of the most challenging and frustrating things to do. First of all, you need a good camera, such as a DLSR or mirrorless interchangeable lens camera. But the camera is not enough, you should also try and fit the fastest lens you have to the camera. A standard lens will have a maximum aperture of f/3.5 but if you have something faster, like a f/2.8 or f/2.5, then that will be better. Setup your camera on a tripod and set the camera to automatically take photos. You see, it is all about luck. Shooting stars move too fast to snap them when you see them, so you have to just keep taking photos and hope you get one. Generally, an exposure of 10 to 30 seconds will do the trick, with the longer exposure usually capturing more of the star field in the photo. You probably want to experiment a little with your camera and lens combination beforehand. The Lyrids usually produce a nice show, and this year with the peak falling on the weekend and an early setting moon, it should be worth checking out. If we are very luck, we might get some fireballs and an outburst as well. I'd love to see these Roy but I'm afraid the 2am to 4am optimum viewing time is probably beyond my capacity to stay awake. Thanks for the interesting astronomial articles. I think that should read "The moon will set in Melbourne at 11.11 pm"